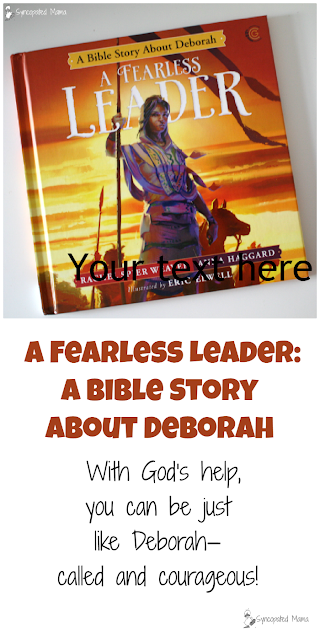 With God's help, you can be just like Deborah—called and courageous! I received a free copy of this product from Harvest House Publishers in exchange for writing a review. All opinions are my own. 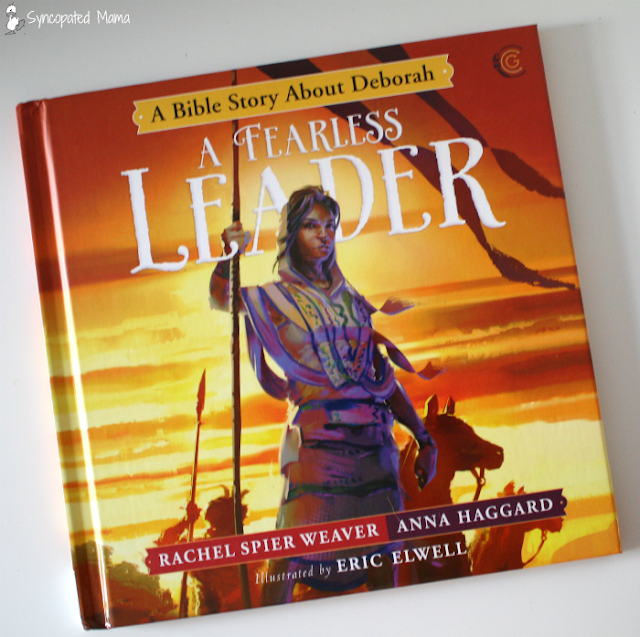 I love how the authors have expanded the story of Deborah to show children how being open to God can lead to amazing things! 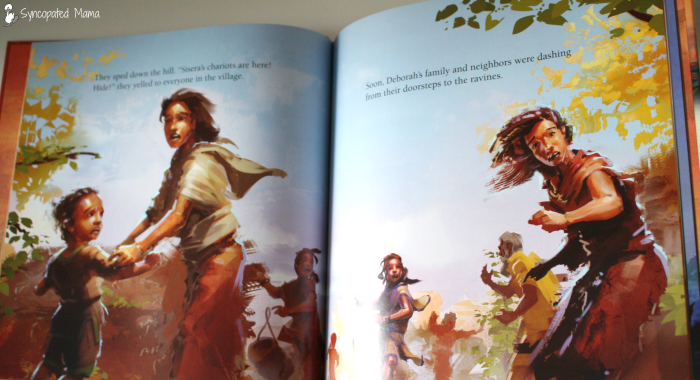 The story opens with Deborah as a young girl who bravely warns her village of danger when she spies King Jabin's general Sisera coming to attack with his hundreds of chariots. Her people flee, but lose their freedom as they continue to evade his army. Deborah grows up and becomes a judge, sharing God's will with the people and helping them solve their problems. 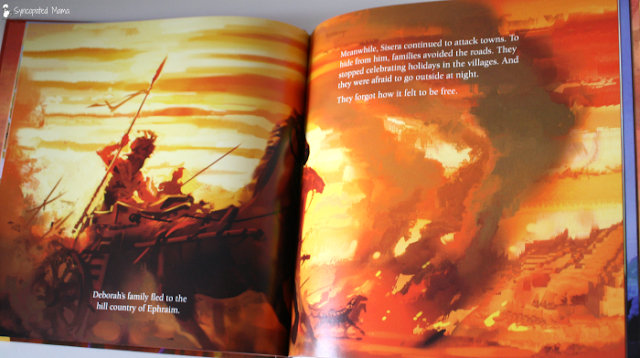 Finally, God calls her to help defeat Sisera's army and bring peace to the land. 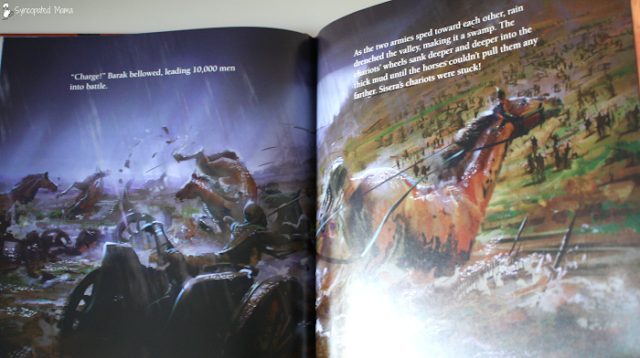 Your kids will be caught up in the action of the battle as they turn the pages of this book, further enhanced by Eric Elwell's powerful illustrations, which blend traditional and digital techniques to set the bold mood. 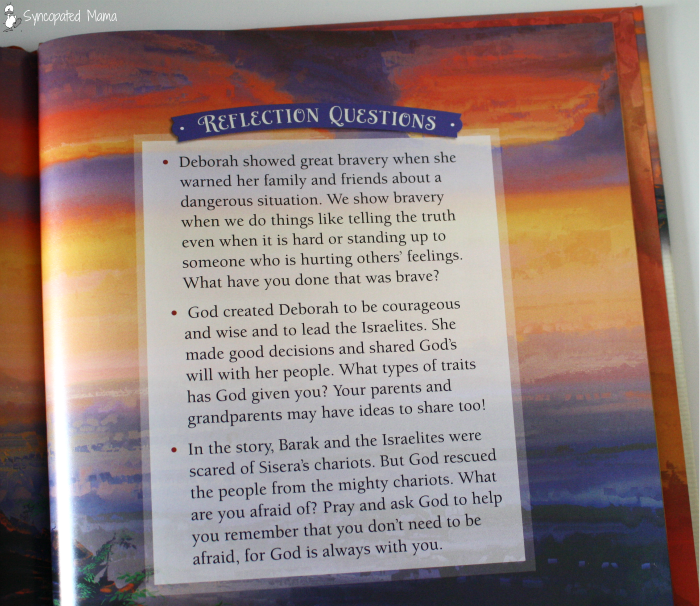 The book concludes with reflection questions and a note from authors Rachel Spier Weaver and Anna Haggard, who share the passion of the Called and Courageous Girls series, which is to introduce readers to the many faith-filled female adventurers who lead, make brave decisions and risk everything to follow God. 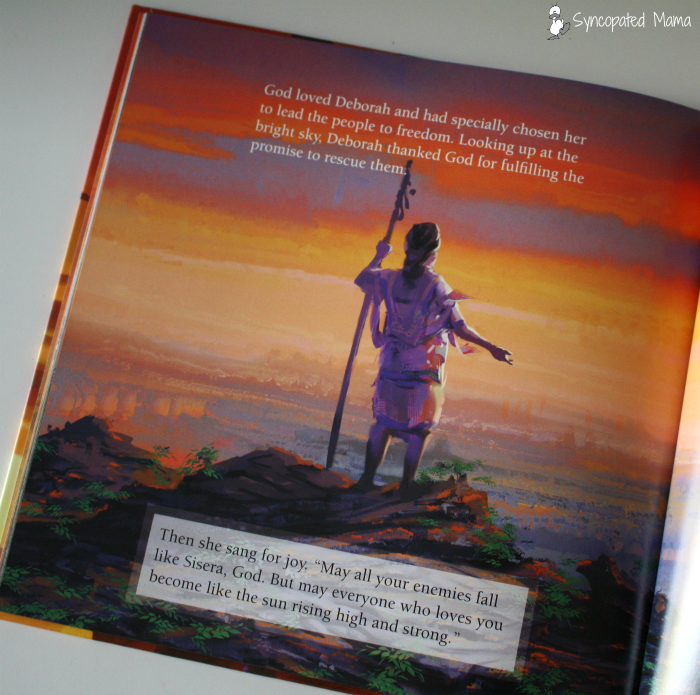 Add this unique story to your family's faith library today and encourage your children to boldly follow God! 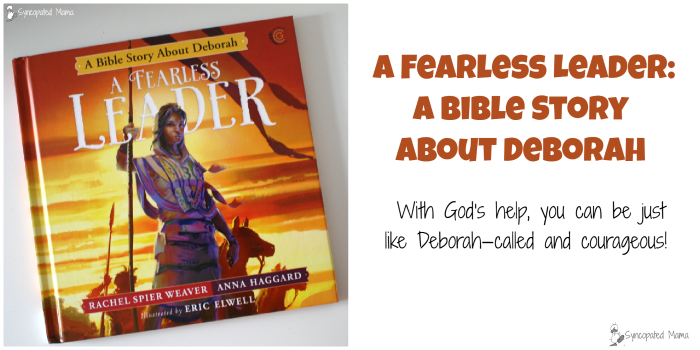 Have you read any of the Called and Courageous Girls books yet? I'd love to hear! Either leave a comment below or email me at lisahealy (at) outlook (dot) com.